detail from Kato Gets The Girl, by Tom Ellard, 1985. 'SEVERED HEADS IS VIDEO MUSIC NOT MUSIC VIDEO'. 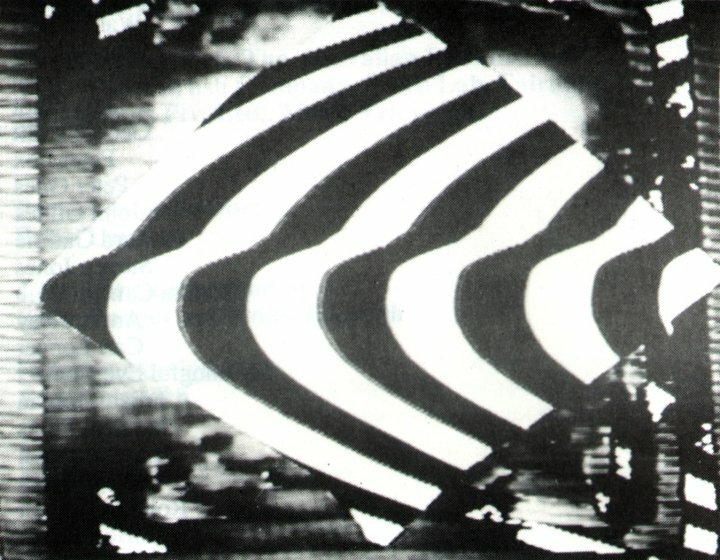 Electronically synthesised and treated images combine to create rhythm and mood, together with the extension of video feedback and video synthesis. 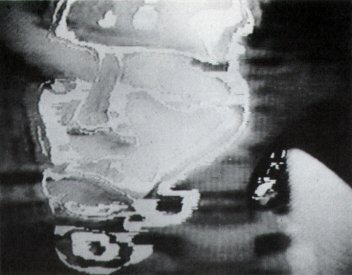 Catalogue image, from Video/Culture catalogue, for Severed Heads Petrol, entry in Video Music section. 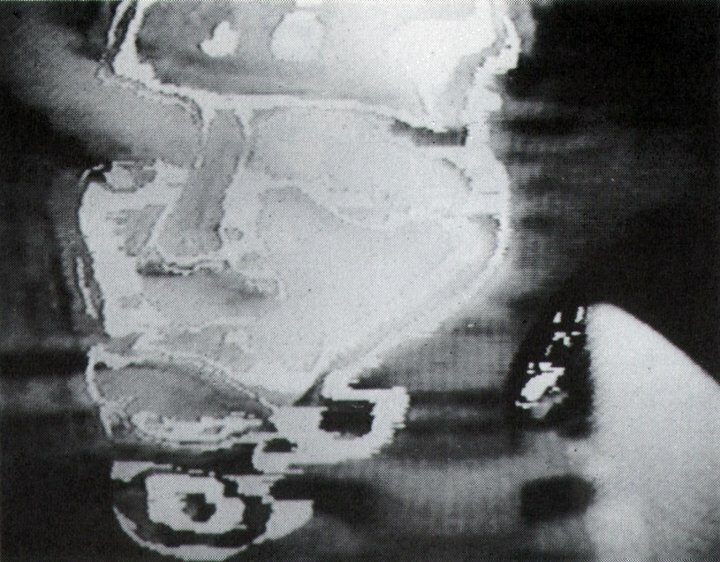 Catalogue image, freom Video/Culture catalogue, for Severed Heads: Bless this House.